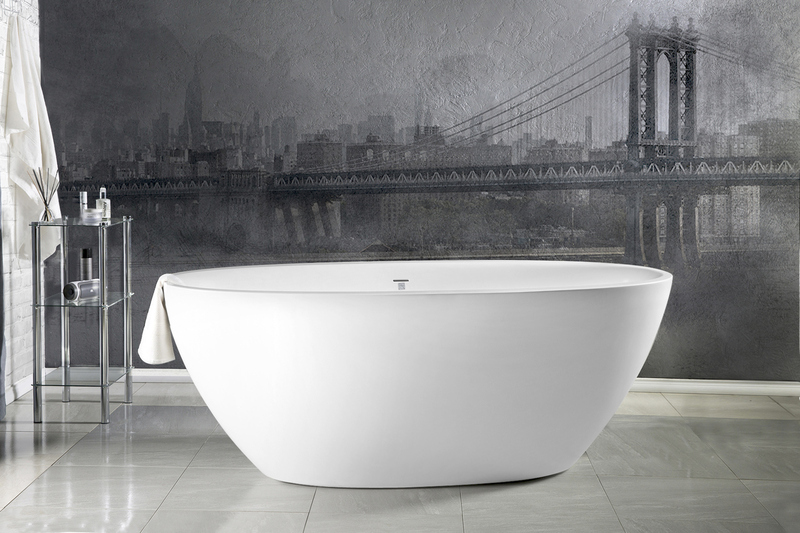 The Sensuality Mini White Freestanding Bathtub boasts all of the perks of the full-size Sensuality, but in a small, space-conscious design. With natural, earthy forms true to its Scandinavian origins, this one-piece AquateX™ matte tub presents both efficient heat retention and lasting durability. Its variable-width rim and smooth texture complete this ideal bathtub, and much like its larger counterpart, the Sensuality Mini is extra deep to allow a full-body soak. This tub is also cUPC certified in both the USA and Canada. The Sensuality Mini features roomy interior with a sculptured built-in headrest made of our signature silky-smooth and warm AquateX™ solid surface. Aquatica continues to invest substantial amounts in R&D, especially in material science, ergonomics research and design. 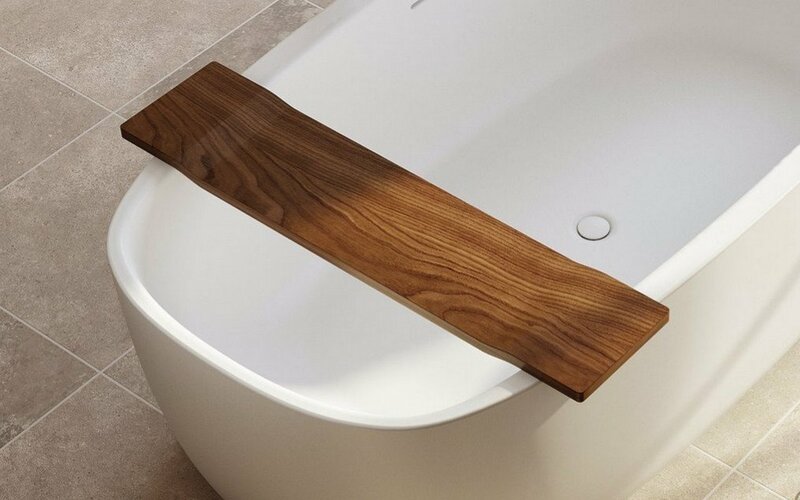 Like its big sister, this Sensuality bathtub is made for pleasure, with an extra deep interior, for comfortable seating and full body soaking, within a compact footprint. 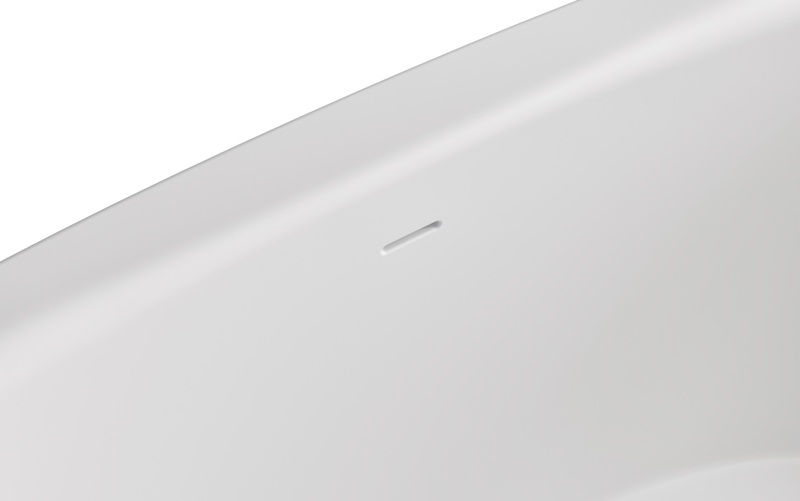 The very discrete overflow and AquateX™ finished drain plug take nothing away from the seamless, streamlined appearance. Beautifully made! Arrived really well packaged. This tub's going to look stunning in the space! Can't wait to have it installed. Great tub, size is perfect, and quality exceeded my expectations. I had a plumber install this tub and he had no issues. It was packaged extremely well and the price fits what you get.